Thousands of classic and vintage car fans enjoyed a mixture of exotic cars, military vehicles and motorbikes in the sun at the eighth Sunday Scramble at Bicester Heritage. 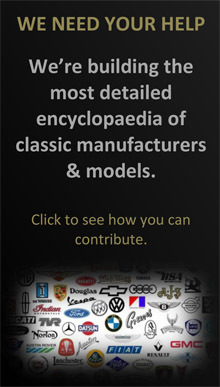 In total, more than 3500 people, 1500 cars and 30 classic car clubs were on site. The combination of glorious weather, the beautiful old buildings at Bicester Heritage and Drive It Day meant the attendees were treated to a wonderful array of cars from all eras and from all over the world. 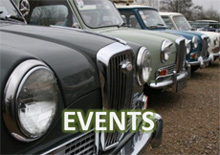 Thirty classic car clubs were in attendance, with Porsche, MG, TVR and Jaguar owners’ clubs all on site, along with regional clubs from the likes of Coventry and Warwick also coming along. The Sunday Scramble marked the launch of The Motor Market, which allowed visitors to offer their vehicle for sale in a relaxed fashion to thousands of like-minded enthusiasts. A total of 22 cars were available for sale, ranging from a classic Route Master double decker London bus to a 1964 Chevrolet Corvair Monza to a 1920 Dodge Brothers Model 30 Tourer amongst other famous brands such as Porsche, Ferrari and Land Rover. Another first at the Sunday Scramble came from the Historic Vehicle Restoration Apprenticeship scheme run by Banbury and Bicester College, which announced that, from September, its ground-breaking course will be based at Bicester Heritage. The apprenticeship scheme, now in its second year, was developed in conjunction with the Federation of British Historic Vehicle Clubs (FBHVC) and is supported by Bicester Heritage. The apprentices will be able to learn and work in close proximity to some of the foremost classic and vintage car experts in the UK. 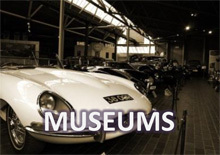 This hugely important course looks to future proof the historic motoring movement by creating tangible career paths for keen individuals looking to join the sector. The ninth Sunday Scramble will take place on 22 May and will take the theme of ‘Super cars through the ages’, celebrating powerful speed machines from every era. It will coincide with the Bugatti Owners Club ‘Prescott Breakfast Club’ hosted at Bicester Heritage.